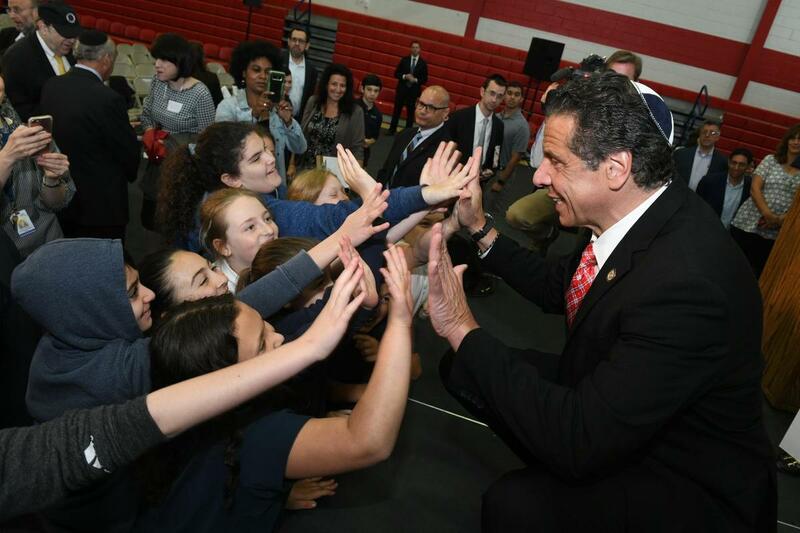 On Wednesday morning, June 13th, Governor Andrew Cuomo spoke to a standing room only gym at the Hebrew Academy of the Five Towns & Rockaway where he advocated for the enhancement of security at nonpublic schools and other community institutions on Long Island. Cal Nathan, HAFTR Vice President, introduced Cuomo and highlighted the Governor’s support of STEM innovation in nonpublic schools as well as equal security for all students in all schools in New York. The Governor was also presented with a mezuzah created by our HAFTR students on a 3D printer, with the help of Director of STEM Benny Gross. Cuomo stated that the mezuzah will be placed on the front door of the Governor's home in Albany. Cuomo declares that security for all students is of paramount importance, and his goal is for students and faculty alike to feel safe at school. 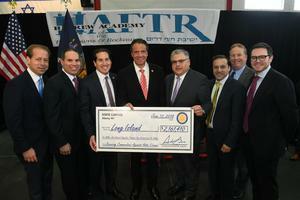 Cuomo announced an award of $2.1 million dollars that is being allocated to 45 organizations across Long Island. 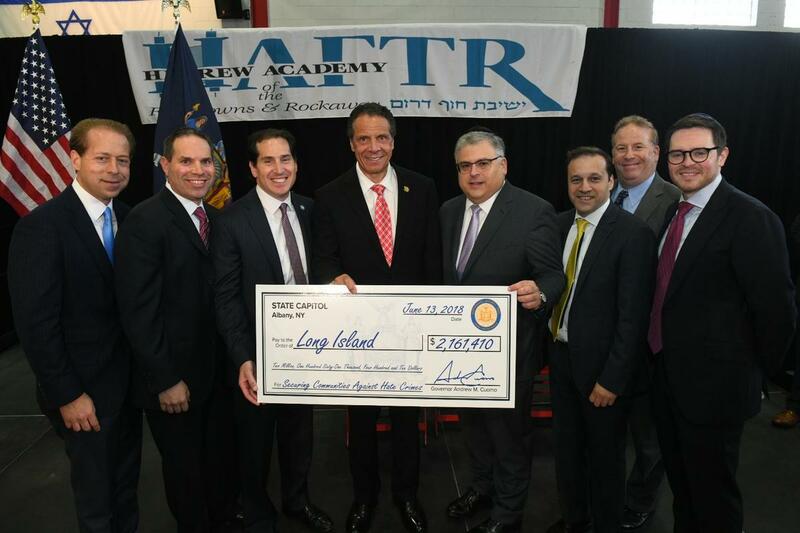 Guests of the event included HAFTR Lower School and Middle School students and faculty, HAFTR lay leaders, HAFTR parents, executive directors and board members from every other school in the Five Towns and Far Rockaway, and local government officials.